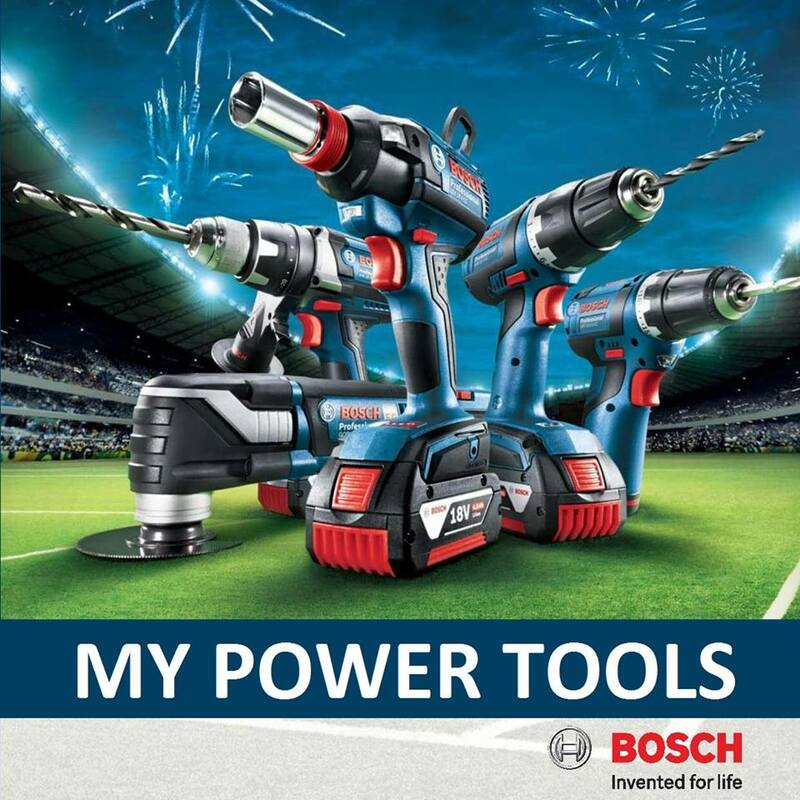 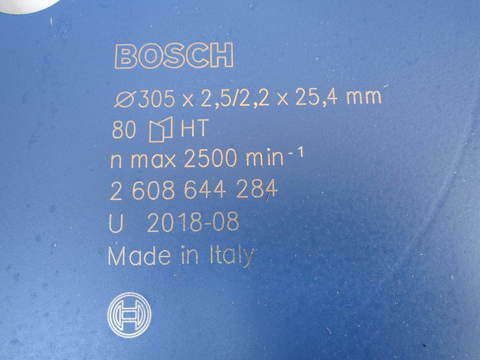 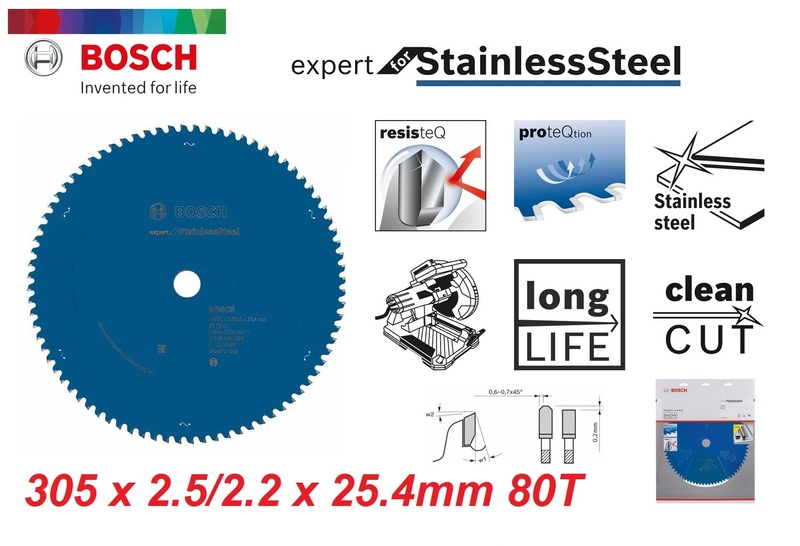 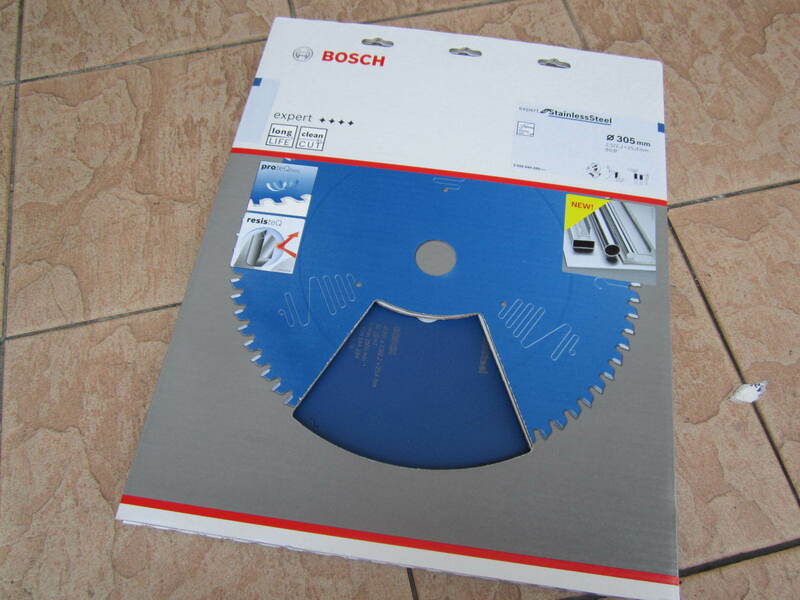 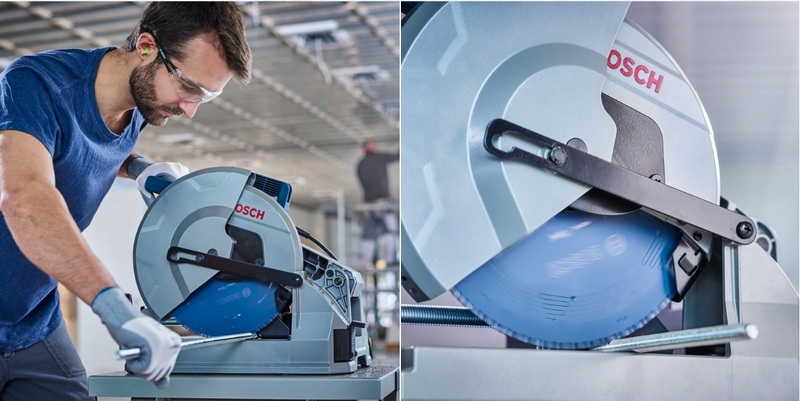 Bosch 12" x 80T Expert for Stainless Steel Circular Saw Blades.. The Expert for Stainless Steel Circular Saw Blade is highly wear-resistant when cutting stainless steel. The blade´s unique Resisteq teeth are manufactured from advanced metallic composites for extreme robustness and durability. 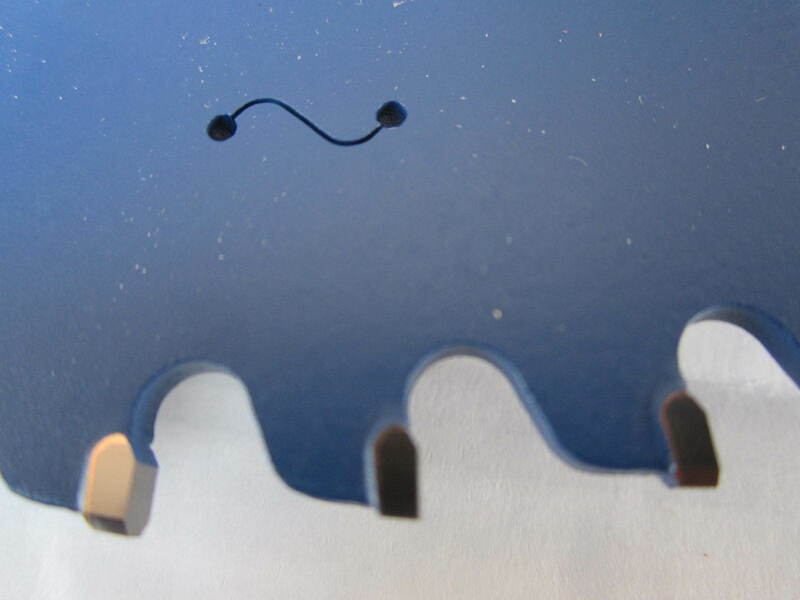 Proteqtion coating prevents corrosion and delivers reliable cutting while reducing friction, further supporting performance. 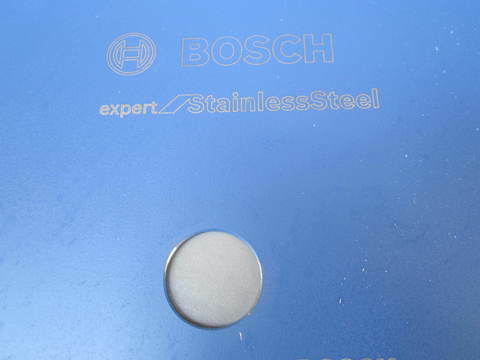 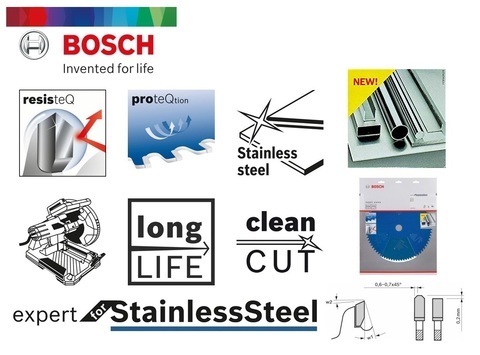 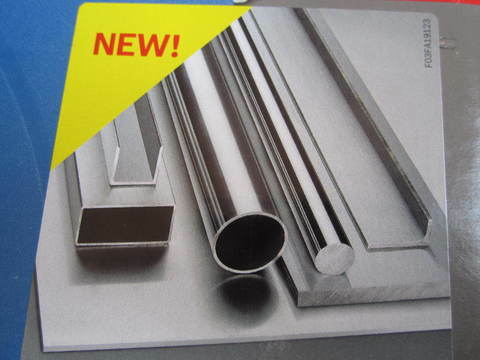 Moreover, the blade´s high quality guarantees smoothest results without reworking the stainless steel workpiece. 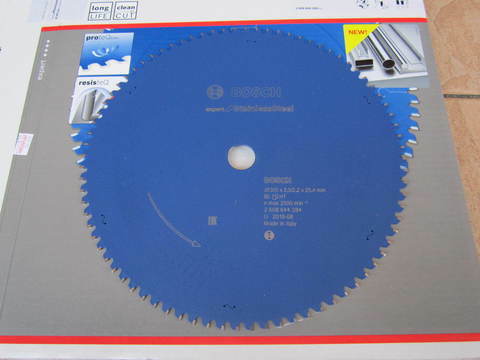 The saw blade is compatible with hand and mitre dry cutters. Featuring HLTCG (High-Low Triple Chip Ground) tooth geometry, the Expert for Stainless Steel Circular Saw Blade is robust for working in highly abrasive materials such as stainless steel.